Check back in May (and keep an eye out for emails and Hingham Journal sports announcements). Registration for our Fall 2019 season is opening soon! 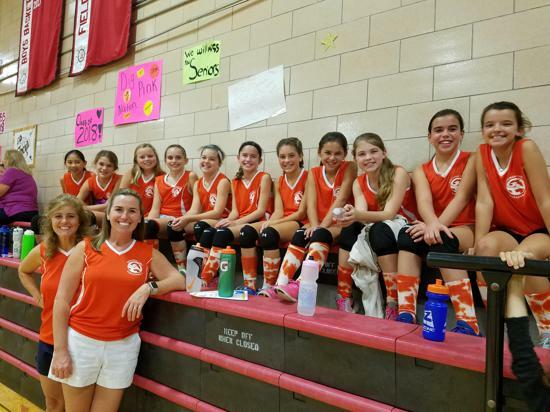 Hingham Girls Volleyball aims to develop entry level skills for young girls and, through the committment and involvement of the high school teams, to enhance and accelerate the familiarity, involvement, and level of play. 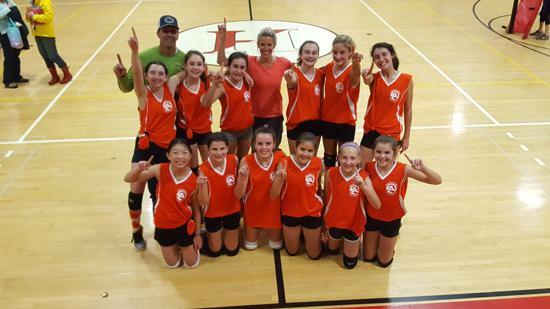 Hingham Girls Volleyball encourages all girls, grades 5-8, to participate. We will be teaching fundamentals of the game and ensuring that all participants get playing time. 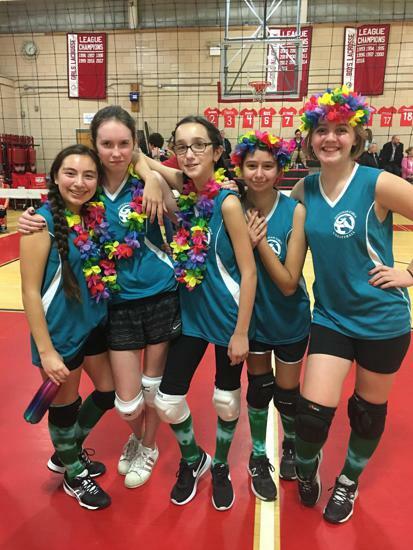 We strive to make the brief season informative and fun so that the girls gain enthusiasm for the sport, and we encourage those players who want to "up their game" to consider local volleyball clubs as the next step. Girls, 5th-8th grade. 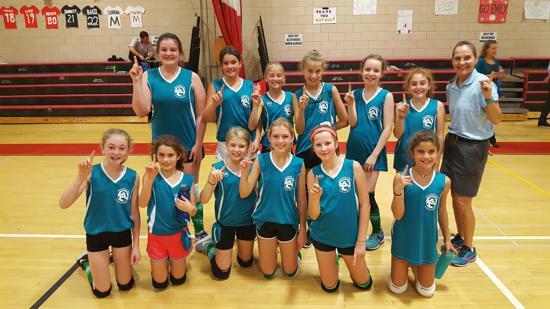 We have two divisions differentiated by the athletes' grade: Varsity (7/8th grade), and JV (5/6th grade). 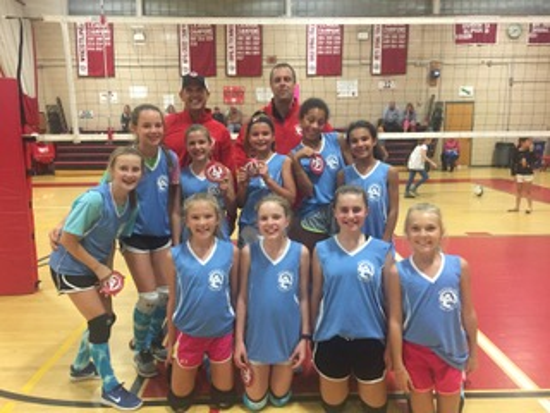 The season will run from early September to the end of October, mirroring the Hingham High School Girls Volleyball Varsity and JV season. Practice Night —(varies with the coach) we will be trying to include a mix of team-specific practices as well as broader Skills Nights with guest instruction from the HS coaches and area club coaches. Game Night—(Tues for JV/Thurs for Varsity) 30 minute team practice/warm-up followed by one hour of game play. 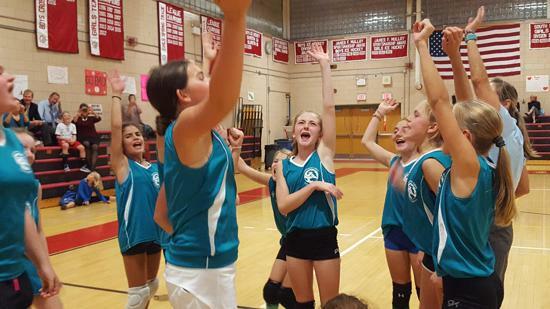 Practices will be held at the various Hingham school gymnasiums, as selected by each team's coach. 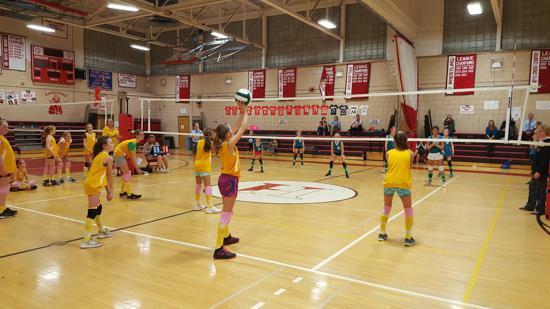 Most games are played in the Hingham High School gym: see schedule links above. Instead of the main HHS entrance, use the one-way driveway off Pleasant St. (between Downing and Union) that leads to the small parking lot and gym entrance at the back of HHS, then exits into the main HHS parking lot. Can you balance a checkbook?